SAINT PETER— In order to determine the pair most fit to run Gustavus’ student body, the annual Student Senate Co-Presidential Race will be held in Lund’s first floor forum in a series of events throughout the day. This most sacred of traditions consists of several strenuous tasks designed to challenge the mind and body of those gunning for the position of Co-President. The competition will kick off, as in years past, with the candidates hopping around the four lane 200 meter track with their legs inside of large potato sacks. 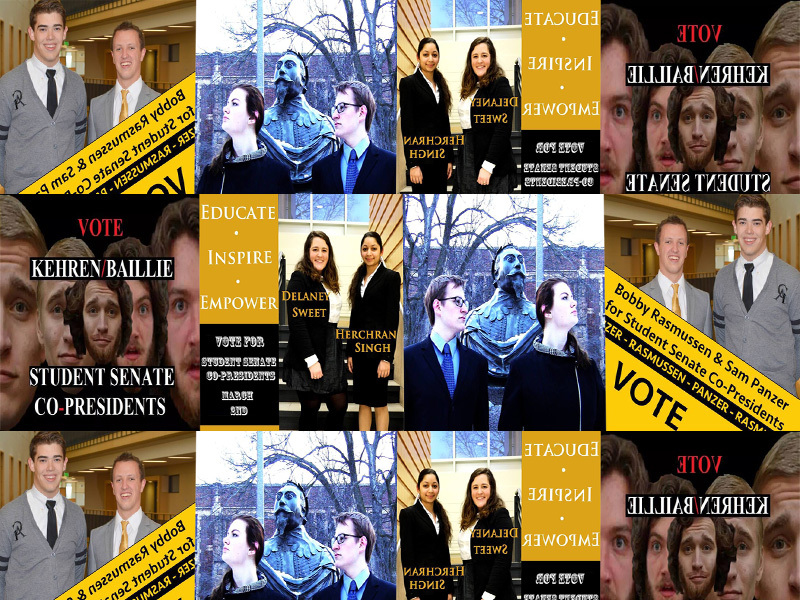 A medley of various campaign posters put out by the four candidate pairs, who disagree on many issues, including their names, years, and majors. As prescribed by Student Senate’s strict and heavily-enforced Bylaws, the race will conclude after the water balloon toss, deciding which two individuals will be crowned as our new Student Senate Co-Presidents.